Three billion people in the world cook in house using open fire, which causes a serious amount of indoor air pollution. As a consequence of this, more than 4.5 million people die each year, mostly women and children. MANSA is on a mission to reduce the number of these premature deaths with an affordable clean cook stove, developed by Gambian women and Master students of the Technical University in Delft, the Netherlands. Key to the design of the Mansa stove is to reduce health risks of cooking on firewood and charcoal, without demanding too many changes in the cooking habits of women. Cooking with the Mansa stove should make their task lighter and save health, money and environment. 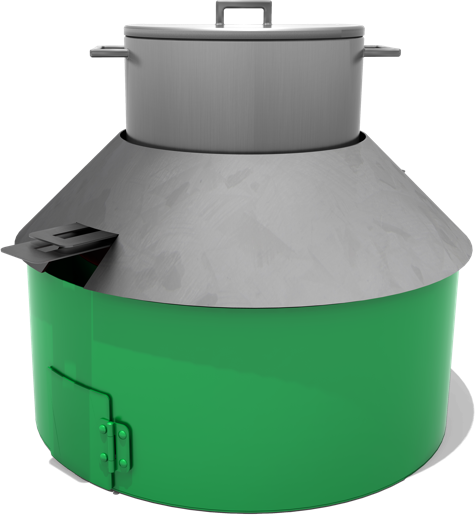 Mansa is a member of the Global Aliance for Clean Cookstoves. We're connected to Yepafrica Foundation.